Why are retreats important? There are many reasons: they allow you to pull back, get inspired, become spacious, detox, and find your people. Besides which, you get away from your children, have someone else cook you dinner, and have uninterrupted adult conversations! 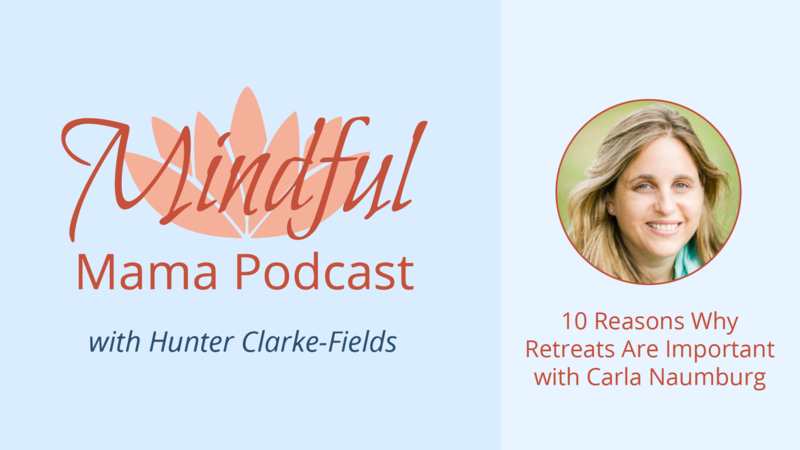 In this episode, regular guest Carla Naumburg and I talk about why we all need to retreat now and then. They give you the time to see who you are away from your role. People leave retreats fitter, rested, happier and clearer. Who doesn’t want some of that? Learn more about the Mindfulness for Mothers overnight retreat with Carla and Hunter. Get all the details about the Mindful Mama Costa Rica Retreat happening April 13-20, 2019.